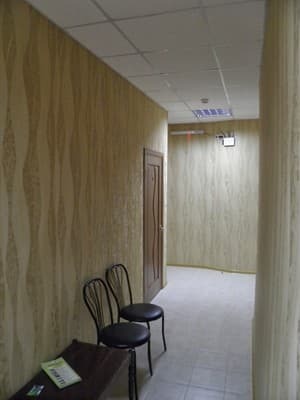 Hotel Atrium is located in a quiet part of the city, 7 minutes' drive from the center of Melitopol. The hotel is located in a separate building, which is located in a quiet courtyard. 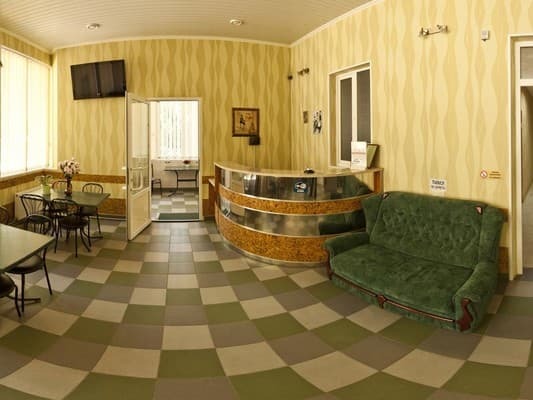 The hotel offers cozy, modern rooms equipped with air conditioning, refrigerator, TV. In addition, the rooms, lounge and patio of the hotel have access to the Internet (Wi-Fi). For guests who travel on their own transport, the Atrium Hotel offers a free secure parking located in the inner courtyard of the hotel. For an additional fee, you can order breakfast, lunch and dinner in the Atrium Cafe. In a matter of minutes you can reach the main places of the city. Two blocks from the hotel there is a railway station (2.2 km). The distance to the bus station is 3.2 km. Description of the room: Double bed, TV, armchair-bed, wardrobe, coffee table, refrigerator, air conditioning. This room can accommodate three people. Description of the room: Double bed, TV, armchair, wardrobe, coffee table, air conditioning. Description of the room: Two beds, refrigerator, air conditioning, wardrobe, bedside tables, coffee table, hair dryer, w / c TV, shower, c / y). Description of the room: Two beds, sofa bed, refrigerator, air conditioning, wardrobe, bedside tables, coffee table, hair dryer, w / c TV, c / a (shower). Description of the room: Double bed, sofa bed, wardrobe, bedside tables, coffee table, refrigerator, air conditioning, hairdryer, w / c TV. This room can accommodate three people. Приветливый администратор, порядок в выписке документов, тихо ночью. 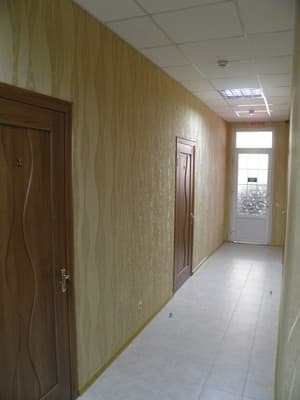 Не работал телевизор, место для обеда возле стойки администратора, движение людей мешает. Children under the age of 7 years stay free of charge when sharing a room with their parents without an extra seat. 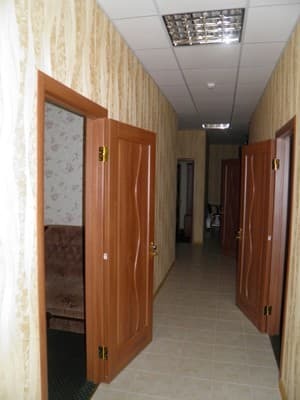 The hotel is located in a quiet area of ​​the city, 7 minutes' drive from the center of Melitopol. Two blocks from the hotel there is a railway station (2.2 km). The distance to the bus station is 3.2 km. From bus station 1 (inter-yearly) by fixed-route taxi No. 11 to the stop "Bulochnaya". From bus station 2 (suburban) by fixed-route taxi No. 15 to the stop "Bulochnaya". 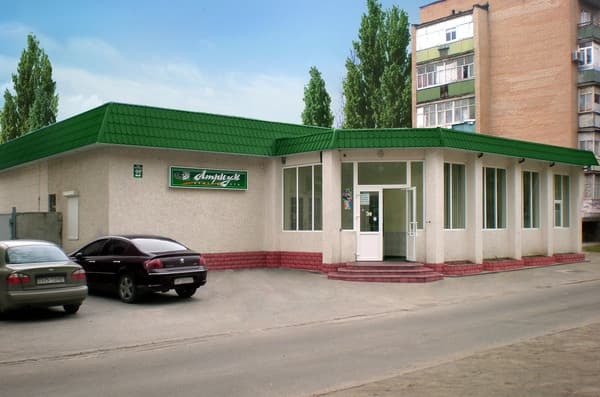 From the railway station by shuttle bus № 7 to the stop "Library" or by shuttle bus № 1, № 12, № 17 to the stop "Pharmacy".